Yes, the Russian built bikes of war time fame. Slow, tractor like, capable of hauling people, pigs, and produce to the local market regardless of road or trail conditions. I met Miles via Facebook and began to follow his racing career until Barber Motorsports in October 2014 when we finally met in person. 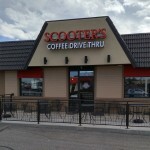 Miles and Shelley Holden are not “cookie cutter” bikers. 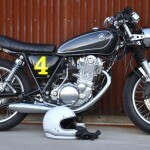 Here is the story of their unique Ural race bike. Miles Holden – I don’t actually have a background in motorsports at all. I have almost always had a motorcycle of some kind but work took me away from home a lot. I am from the UK and had a 30 year military career. I retired in 2010, at which point I was free to begin racing. PC – Was your wife Shelley into racing before you met her? 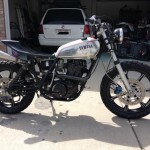 MH – My wife had never raced or ridden a bike before this season. 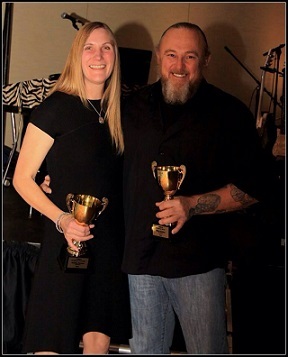 I was incredibly proud of her as she received the “rookie of the year” award for the 2014 season with VRRA (Vintage Road Racing Association). 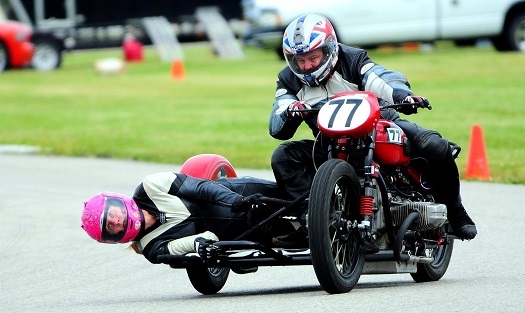 PC – Why did you choose sidecar racing? MH – Sidecar racing was an easy choice for me as it was always the one event I was drawn to as a child in the UK. We attended many GP events when I was young and sidecars captured my imagination and attention from an early age. 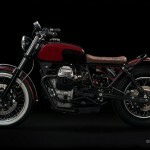 PC – Why a Ural? MH – I bought and raced a Ural mainly because I was told it would be an unreliable waste of time, and no one ever raced one in North America. So, the challenge was thrown down, and I couldn’t resist. I am always interested in things that are a little different……so the Ural was perfect. 2 Seasons, 2 Championships, with the same bike first as a solo then as a sidecar with 18 starts and 14 wins. 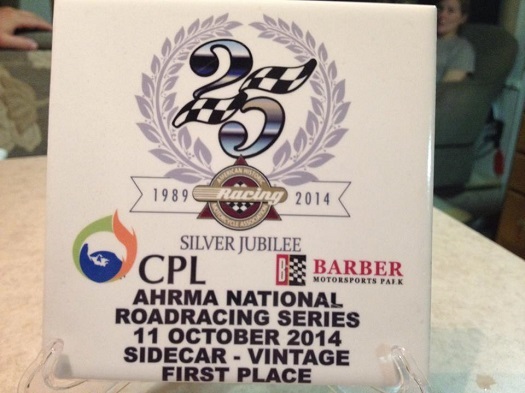 We were the only racing sidecar in the VRRA to finish all championship races in 2014. I think I proved a point. PC – Where is the Ural now? 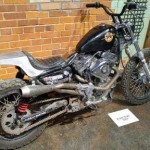 MH – The ‘glorious Ural racer’ is now housed within the world famous Barber Vintage Motorcycle Museum in Alabama. PC – What items did you modify for racing? MH – Not much. The engine and related items are fairly stock. Once we began winning there would have been a risk to start changing things. PC – What plans do you have for the future? MH – For this year we are still racing solo and sidecar motorcycles. 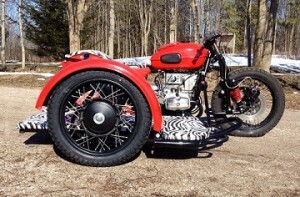 As for our Ural aspirations? Something special! We are putting together a Ural 650 Streamliner for Bonneville and have acquired a rare water cooled engine (as if things weren’t ‘different’ enough). With the expert help of Terry Crawford (of Crawford Sales fame) last season and again this coming season , we are very excited to put this bike together. PC – What is the best part of racing? MH – The best part of racing? The people, the speed, we enjoy all of it. It’s all great! MH – My advice , if you are thinking of coming out to race, is come and talk to people at the track see what is involved. Make a plan. Take it slow and steady and the speed will come. VRRA, ARHMA, USCRA, these are great vintage racing organizations with fabulous helpful people. I only wish I had been able to get in to this years ago!!!! Here’s to next season and getting that ‘chair wheel’ in the air. I’d like to thank Miles Holden for taking a bit of time from his busy schedule to share his experiences with us. 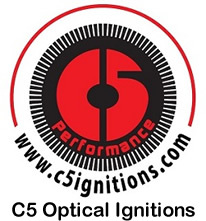 We wish him the best of luck for 2015 and we hope to use our C5 Performance ignition on a Holden race bike at some point. 2 Comments on "Miles Holden The Crazy Canadian Racer"
Thanks for posting the Holden’s story. I have been following them since Miles first time out on the Ural. The VRRA is a great organization that like the American Historic Racing Motorcycle Association (AHRMA) open racing to a whole lot of people and is a whole lot of fun. 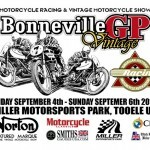 More Utah bikers should go out and support vintage racing when they come to Miller Sports Park this Fall. 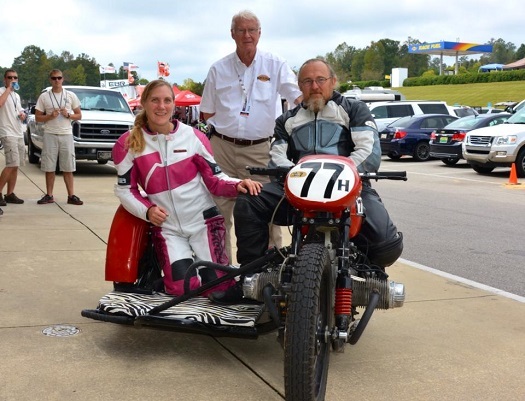 I have been following vintage racing since the mid 1970’s when I got chance to ‘monkey’ a sidecar rig with the then Mountain Racing Association in Colorado. The VRRA up north and the AHRMA in the states both put on a great show and the sidecars are worth the price of admission at any event. Always up for a wave. Wow! I have known Miles for 15 years but lost touch with him. Thank you Paul for doing this story. What a great accomplishment for him and his wife. A man who served as long, and gave up as much as Miles has, deserves a partner who shares his love of adventure, who is a compliment to his goals and loves the whole package. Looks like they are a winning team and I wish them the best of luck this coming season.